In the world of Vinylmation, where set after set is pumped out of the factory at ever alarming rates, some designs blur into the background and much of the art and ideas start to look similar. Sure, different artists have their own style and after seeing a few dozen you have a good idea who did what. But every once in a while, a figure or series takes a leap forward and jumps out from the pack. 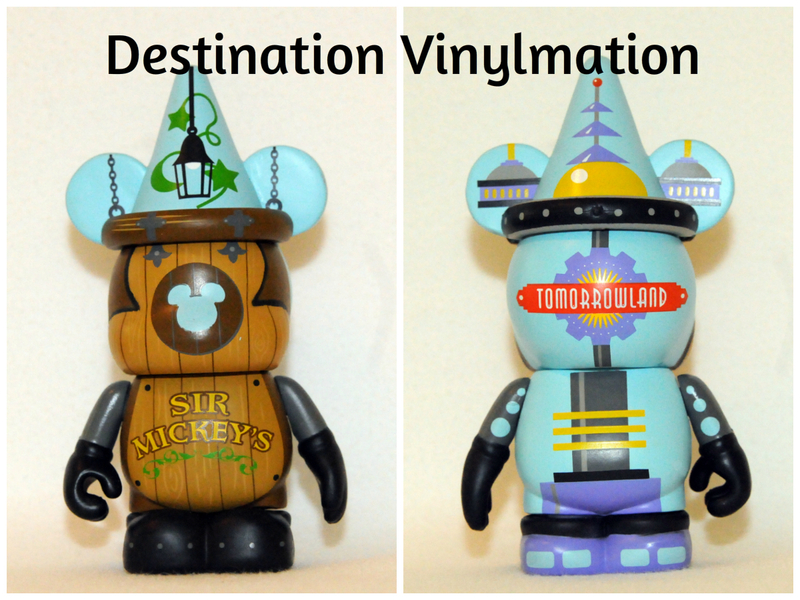 The Walt Disney Imagineering series that was released at the D23 Expo is one of those sets. 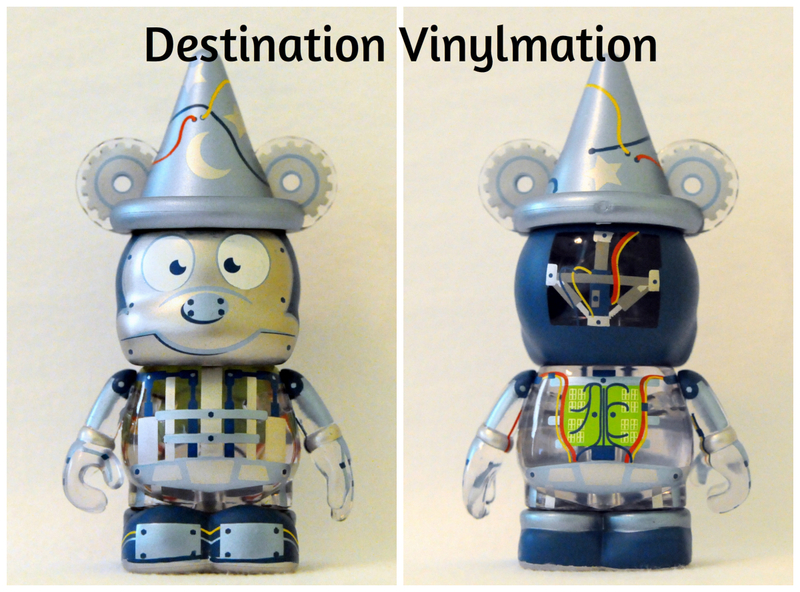 WDI Graphic Designers David Buckley and Justin Hamana have given us a fresh take on a produced Vinylmation figure. They pushed the boundaries, were innovative and took risks that we don’t often see these days from the Disney Design Group. Don’t get me wrong, that takes nothing away from the DDG artists. I still think they produce some amazing artwork. But introducing some new hands into the design mix is never a bad thing. 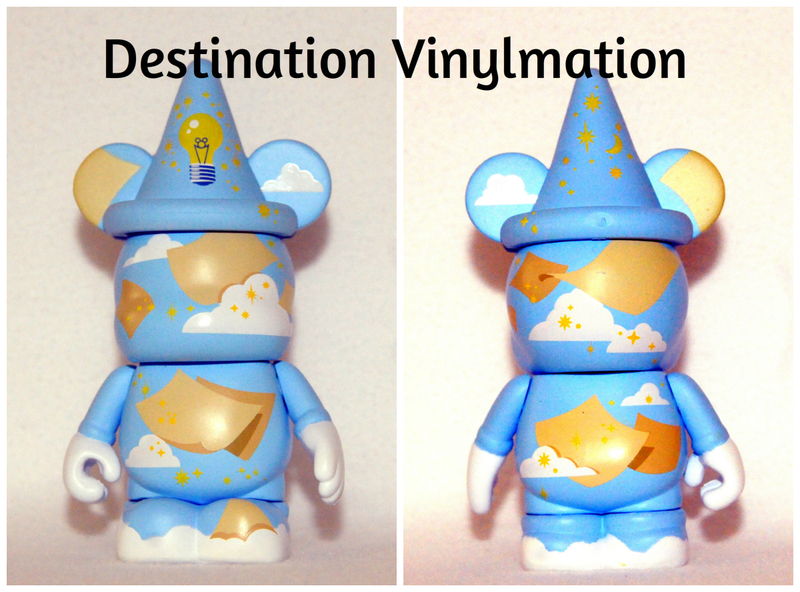 The WDI series is what the Park series seemed to used to be. There are so many hidden details in here, that I don’t even notice them all until the fifth or sixth look. In my opinion, this is the series of the year. David Buckley’s “3D Design/Sculpting” figure features the Yeti from Everest being sculpted in the body. 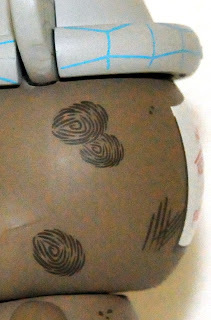 The clay is wavy and uneven and is spread over a mesh frame. The use of clear to show the unfinished part of the sculpture is nothing short of perfect. The feet represent the table. On the back, the table has some writing and there is a hilarious note attached to the body, “Note: Rework Arm Position,” no doubt a reference to the broken Yeti arm inside the mountain. The hat features graph like lines and points that represent 3D Design on a computer. All those details make this a wonderful piece, but the finger prints in the clay on the side are a remarkable touch. “Landscaping” is an interesting design in that it could be rather boring, but the attention to detail by David raise this one up the ladder to one of the series standouts. Just the fact that no part of the canvas was left unused. Roses in the ears, cobblestone in the feet, a Mickey face flower design in the head and flowers and leaves all over the place. But again, it is the hidden touch that makes the design. 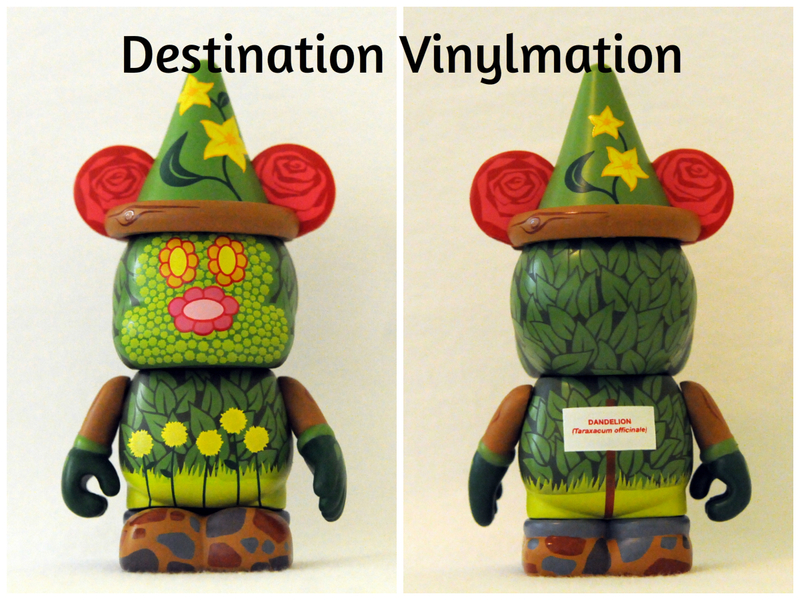 The sorcerer hat has stars and moons shaped out of flowers and leaves! After opening figure after figure and seeing all the hidden objects on the back, “Blue Sky” was almost a let down. I say almost, because it still is a remarkably pleasing design by David Buckley that holds a lot of meaning to Disney Parks fans. The same design elements are carried from front to back, but the charm is in the light bulb. The filament is a Hidden Mickey. The figure that most showcases the talents of these two graphic designers is of course the one titled “Graphic Design.” David used the front to showcase the Sir Mickey’s sign that hangs in Fantasyland at the Magic Kingdom. The back features the familiar Magic Kingdom Tomorrowland logo. All the colors and fonts are spot on. Again the hat holds much of the magic with the stars and moons being made of vines and leaves on the front. In my opinion, the best figure in this series and one of the greatest Vinylmation designs created to date is the ambitious “Master Planning” design. David was worried this wouldn’t be read to well because there is so much going on here. But it is laid out so well, any Disney Parks fan would instantly recognize it as the original map layout for Project X, or what would become Walt Disney World. This is a masterpiece, with all the buildings, roads, monorail tracks and bodies of water depicted. The back has a scale in the feet, legend in the body and a graph and compass in the ears. Perfection. 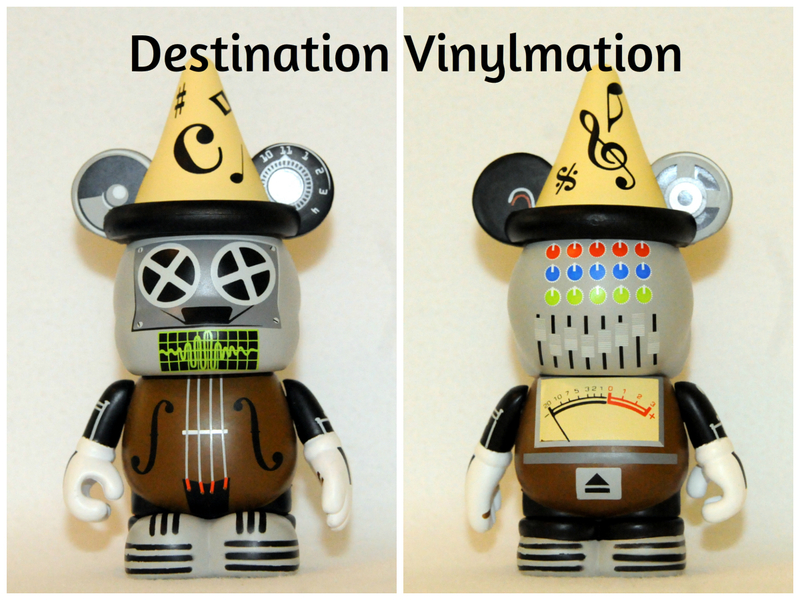 Justin Hamana packed a ton into the “Music” figure… including a non-Disney reference he was very proud of. The front has a reel to reel tape deck, audio waves and violin body. The back has audio mixer faders and knobs, a volume meter and eject button. The ears have a reel, audio wires, what looks like a CD and a volume knob that goes to 11… a Spinal Tap reference. 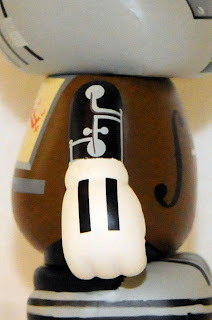 The hat is full of music notes and the hands have piano keys. Wow, talk about using every inch of the canvas. This is why I get upset when I see completely white or blank ears. “Construction” has a lot of little ideas present as well. Justin used clear well here to demonstrate the structure of a building rising above a blue wall. 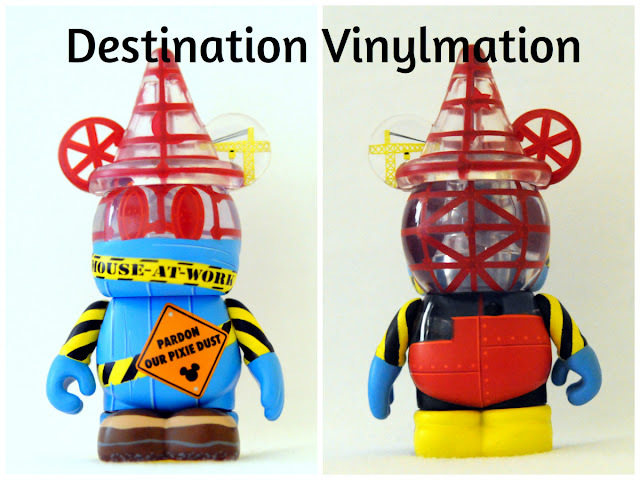 We see the familiar yellow caution tape that reads “Mouse at Work” and the wonderful “Pardon Our Pixie Dust” sign. The feet blow me away. It looks to me like the various ground levels. I see sand, dirt and water table levels. There is a tiny, detailed crane drawn into the left ear and there is a lunch box on the structure on the back. A nice touch indeed. The final figure is “Audio Animatronics.” This is probably the weakest design in a very strong set. It pains me to say that about this one because it is still a really great figure. Just put up against the other seven designs in this set, it seems lacking of that “Wow!” factor. But Justin once again use clear so well to show the inner workings of the robot. There are gears in the ears and wires in the hat. The back also has some circuitry and wires. The hands have little metal fingers and it is little touches like that, that make all the difference. This set dedicates itself to the theme at hand… celebrating 60 years of Imagineering. 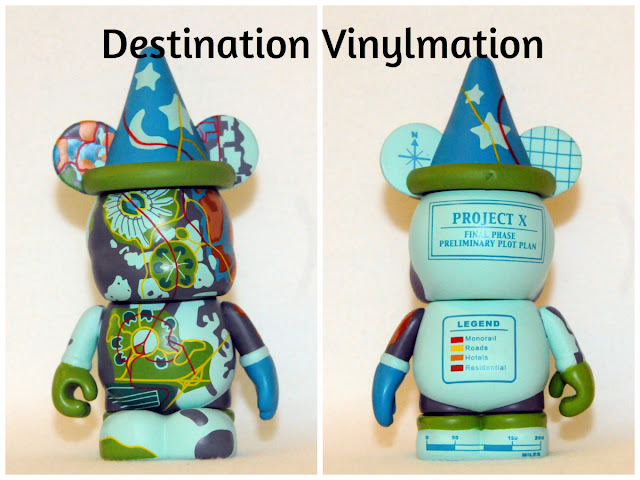 It has all the hallmarks of a set we Disney fans and collectors crave. It has a Disney related theme that has meaning and sticks to that theme. It has designs that mean something to any fan of the Parks. They have hidden details all over the place. The production quality is perfect. The designs are fresh and ambitious. While I was talking to David and Justin at the expo, I told them how much I love the backs of the figures. They were almost shocked, but overjoyed, that I took them out of the box. I know many collectors like to keep LE items boxed up for display or resale, but if you do not take them out and enjoy them, you are doing yourself and the designers an injustice. 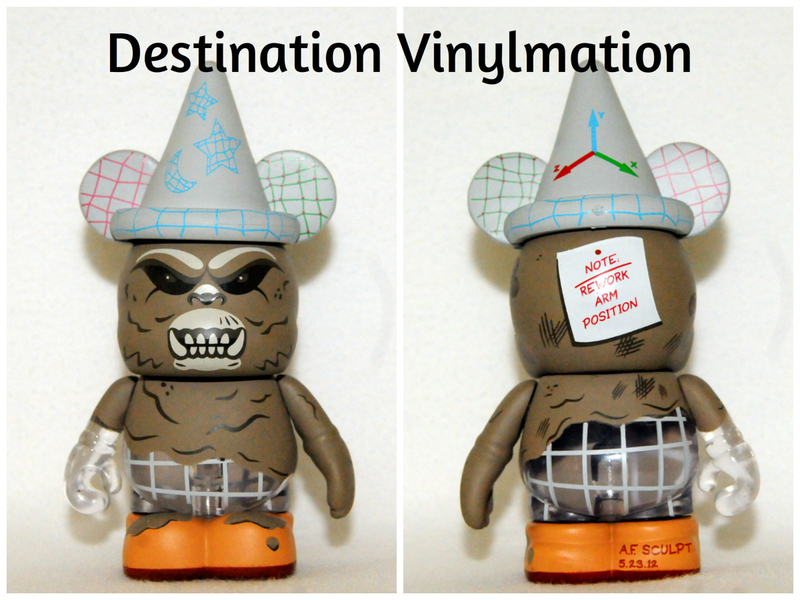 This set should stand as one of the best overall Vinylmation sets created in the first 5 years of the hobby.